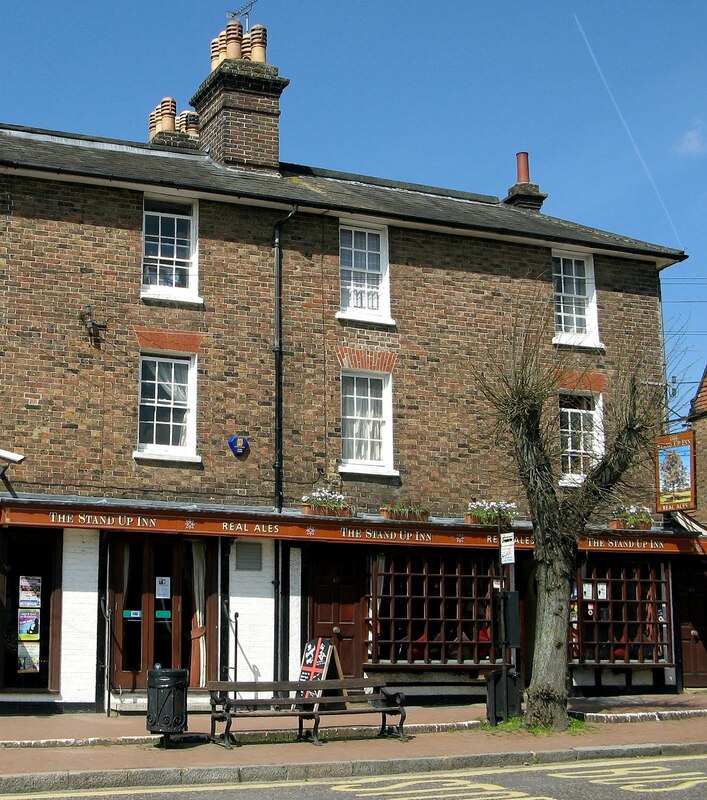 It was with great sadness that Dark Star brewery recently announced they would be leaving the Stand Up Inn, Lindfield as they had been unable to agree terms for a new lease that would enable them to cover their costs. The last day of trading was Sunday 29th May 2012. The following article on the pub was adopted from The Quaffer No. 26, June 2010, Lindfield Libations. Situated on high ground above the upper reaches of the River Ouse, Lindfield is a village and civil parish in the heart of Sussex a mile north-east of Haywards Heath. It was first documented in 765 AD as a Saxon settlement, Lindefeldia, meaning ‘open land with lime trees’. Pollarded lime trees still line the picturesque High Street, a designated conservation area with over forty medieval and post-medieval timber-framed houses. By far the best pub in the village, at 47 High Street, is the Stand Up Inn. Its distinctive timber framed shop-like frontage has small paned windows with dimpled glass. The left side, formerly Lloyds Bank, has exposed brickwork, thin timber framing and wood laminate floor. There is a bar billiards table and a dartboard to the rear. Beamed and arched ‘walk-throughs’ divide what is otherwise an open-plan right-side room with white plastered walls. Load bearing ceiling beams are lined with numerous pump clips. Chunky ‘rustic’ furniture and scrubbed tables stand on well worn carpet. Cushioned seating is in the window sill; benches are out in the paved and narrow back yard. A compact servery with plain hardboard front resides at the right. 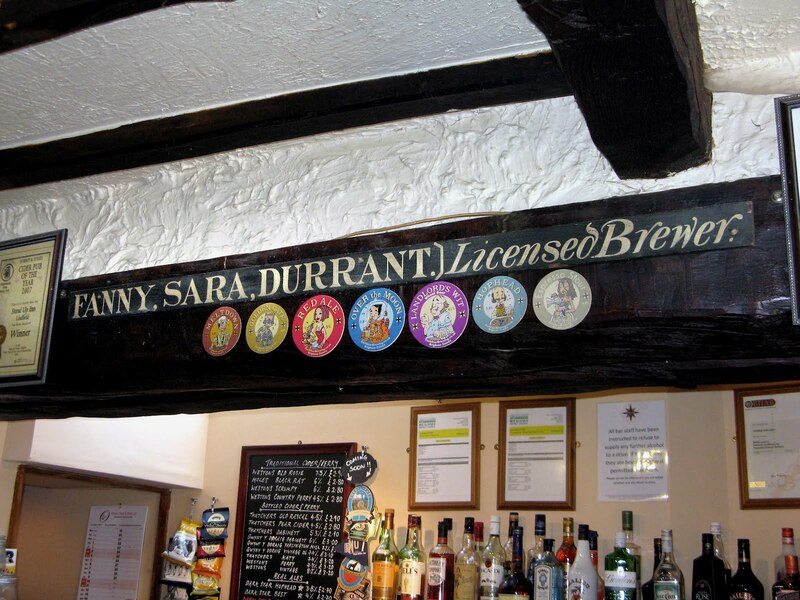 The name of Fanny Sara Durrant lives on in the old signboard next to her photograph above the counter and thereby hangs an interesting tale. Sara’s husband, Edward Durrant had built the Stand Up by the 1880s as a beerhouse, primarily for the workmen of his brewery. Its name arose from the lack of chairs and tables in the bar, for Edward was an early pioneer of what was later to be called ‘perpendicular drinking’. This term was a disdainful one when it was employed by the evangelists of public-house ‘improvement’, for drinking while standing at the bar counter was seen to encourage copious consumption. Edward’s aim was not, however, to get his workforce to drink more but to hasten their departure. Durrant’s brewery at No. 49 was located just to the rear of the passageway that connected the Stand Up to Edward’s other business, his drapery, grocery and glassware shop, and he wanted his men to promptly return to their duties, not sit lingering over a pint and game of dominoes. “Let ‘em stand up and drink up!” he was reported to have said. As the Harvest Beer at 2d a quart was disparagingly known as ‘Apron Washings’ the men might not been too concerned at having their daytime drinking curtailed; although a more palatable sounding London Porter and Double Porter were reputed to have been brewed, while locally advertised at 1s a gallon was a Family Bitter Ale. The only Durrant’s Ale that readers may recall is the one brewed by Dark Star to commemorate the centenary of the closing of the brewery in July 1906. 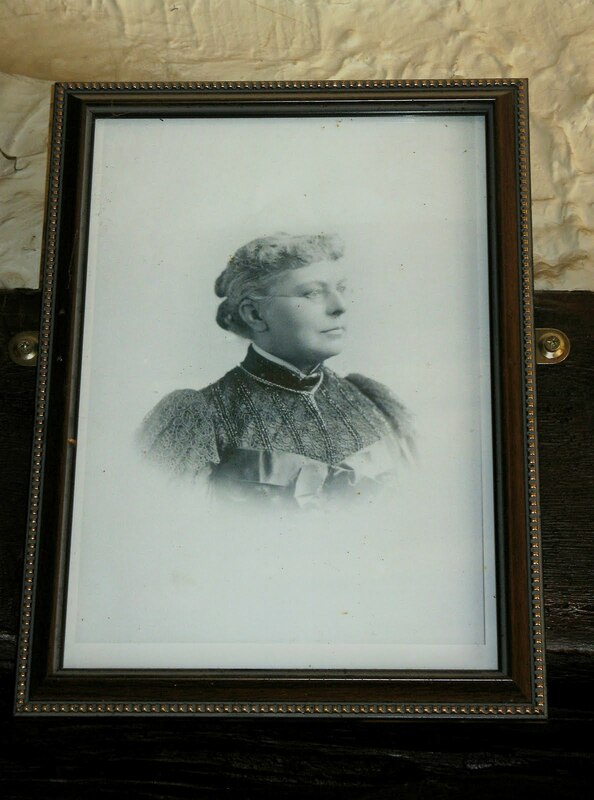 Upon the death of Edward in 1902, Sara had owned and run the Stand Up with son Bartley acting as the brewer until he emigrated. 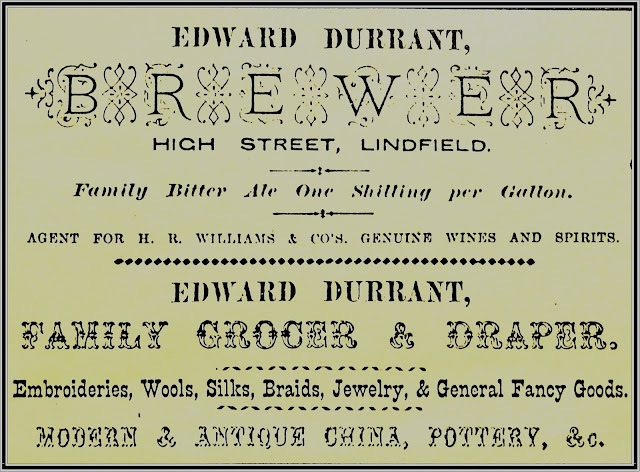 Durrant’s Brewery was finally sold with its four pub estate on 29th September 1909 to Ballard & Co. of Lewes. (Ballard & Co was taken over in 1924 by Page and Overton’s Brewery Ltd. 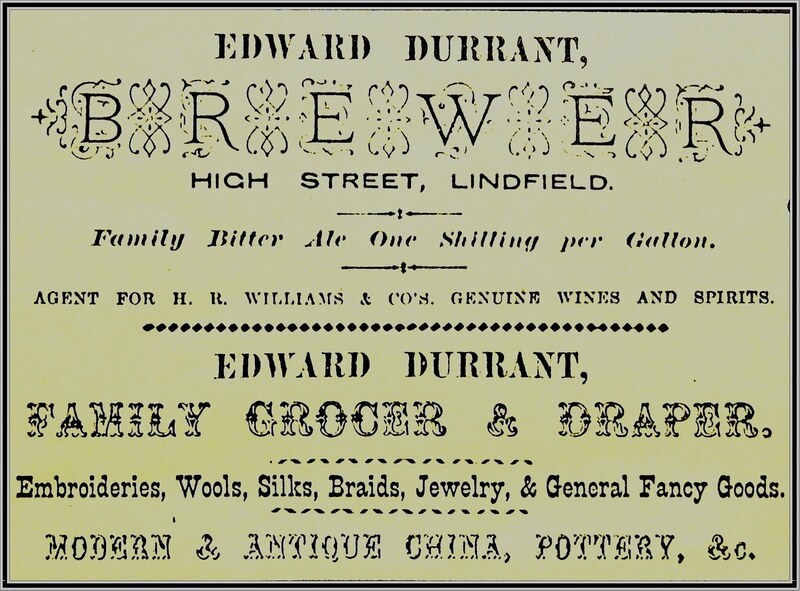 This Croydon-based company was acquired five years later by Hoare and & Co Ltd, of London E1 who, in turn, were swallowed up in 1933 by local rivals Charrington & Co Ltd.) The Durrant brewery buildings became an extension to the family home and shop. From 1988-1999 they housed Ray Leworthy’s wireless museum. Now converted into a high quality residence, ‘The Old Brewery’ was recently on the market at £545K, perhaps not so high a price to pay for the privilege of living in Lindfield next door to the Stand Up Inn. It was not to be until 1965 that Ye Olde Stand Up Inn, as the wine and beer house it was then tweely called, received a full licence. That was in the days of long-serving tenants Fred and Nellie Lambert when the interior was two small rooms. It had been owned by Charringtons from 1933 until a Noel McNally acquired the freehold in 1982 and changed its name to the Linden Tree after the mature lime tree outside. Noel also refurbished the interior on the grounds that “you could have had ballroom dancing behind the bar, but there was no room for the customers”. As the Linden Tree it was listed in the CAMRA Good Beer Guide from 1984-88 and 1990-2003. The Lloyds Bank property on the left closed in 1999/2000 and was incorporated into the pub c. 2002. The interior was modernised again by Dark Star upon their taking over the pub in October 2005 and restoring its original and most loved name. Good Beer Guide-listed since 2005, this regular on the local CAMRA branch Ale Trail has three handpumps for Dark Star beers (Hophead, Best and Original on a spring visit) and three more for interesting guest ales such as Red Squirrel IPA, Hopdaemon Incubus, Shardlow Golden Hop and Salopian Shropshire Gold. Having been local CAMRA branch Country and Village Pub of the Year three times in the past, it is now the branch 2010 POTY overall runner-up. 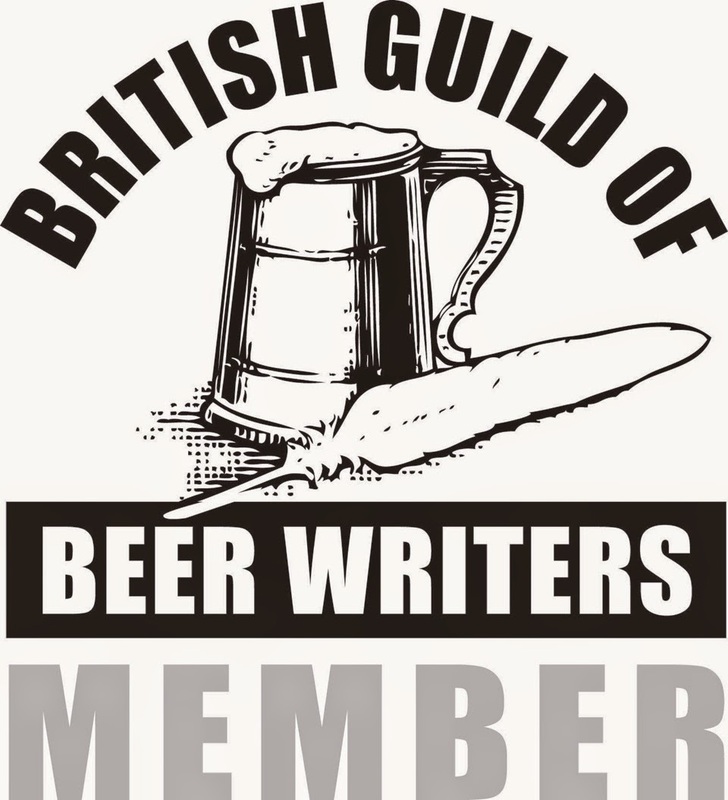 CAMRA POTY awards at branch, regional and national level have also been won for the cider and perry range. This on the last visit consisted of Moles Black Rat and Westons Old Rosie Cloudy Cider on handpump, Westons Country Perry on handpump, and, from Taunton, Sheppy’s Farmhouse Cider on gravity. Not only beer festivals but cider and cheese festivals are held regularly at this outstanding village pub. The Stand Up Inn is a haven for lovers of quality beers; they can not only enjoy the Dark Star range, but also beers from a wide variety of other breweries, as well as the many ciders, perries and classic continental beers available at the pub. Exactly. That's the whole point of the post. See the first paragraph.